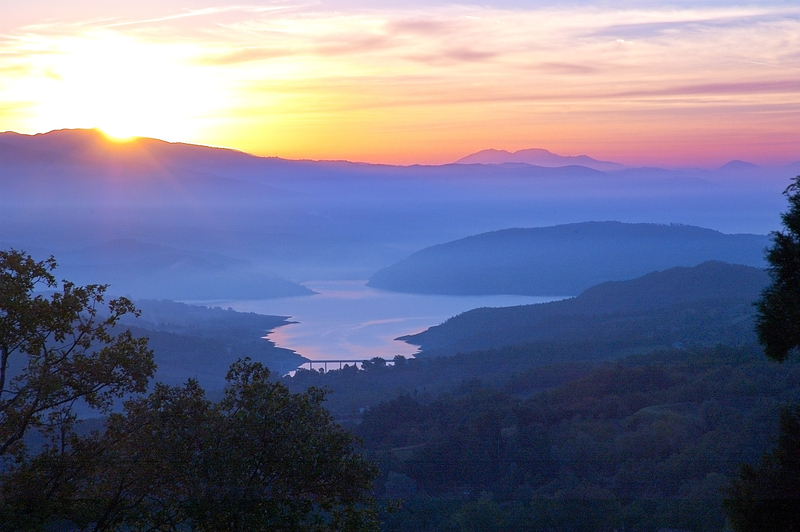 Come and spend an unforgettable vacation in Tuscany! 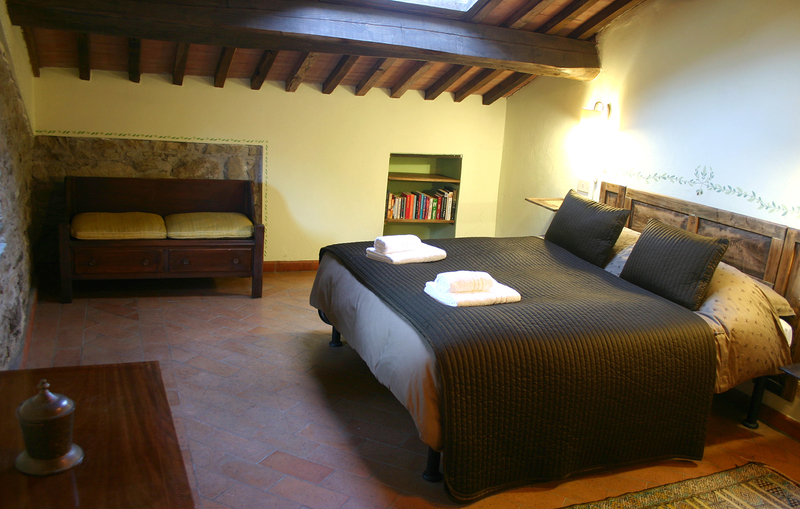 Stay in our 1600's farmhouse beautifully restored with an incredible view of the green heart of Italy. Please have a look at our pictures, check us out with google maps (who can offer that privacy and views???) 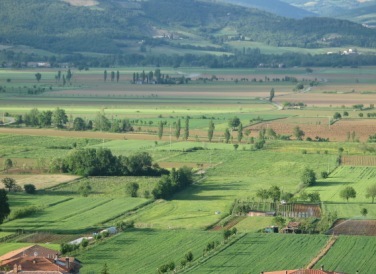 and read about our beautiful corner of Tuscany. We are sure you'll love it as much as we do. We found Priello 23 years ago and instantly had to have it. It was the kind of property that made us sing in unison "THIS is the one!". Four years later after lots of work and dreaming and laughing and wondering if we had made a huge mistake we opened Priello as a bed and breakfast and for 10 years a good time was had by all. 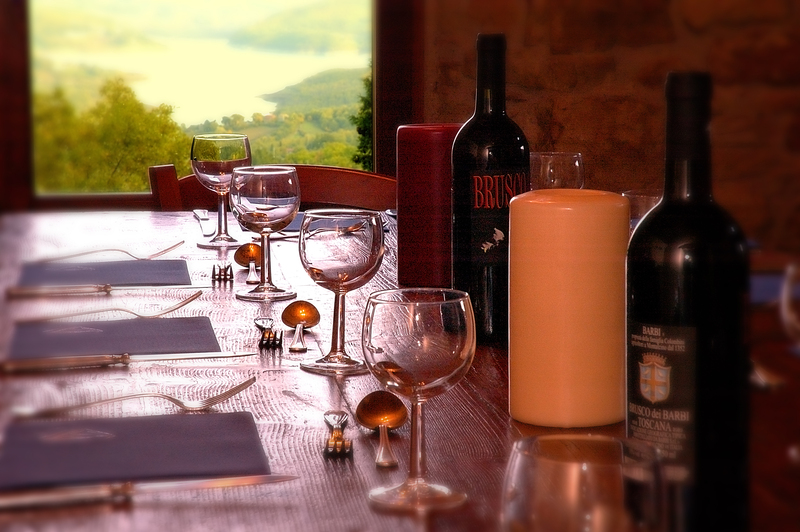 More recently we started renting our beloved Priello as a weekly holiday house for guests to enjoy and make it their own. 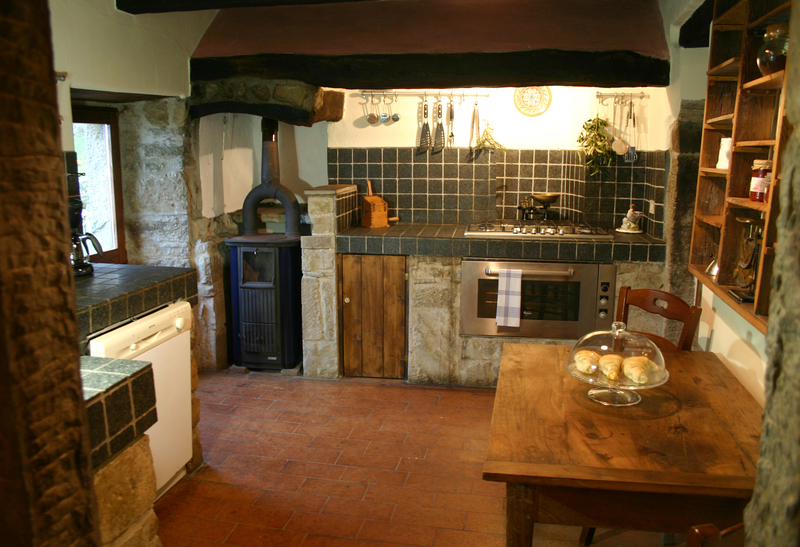 The entire farmhouse sleeps 14 but we also offer accomodation in single (double ot triple) apartments or a portion of the farm. Sooooo... Priello it's the perfect place to spend a week as a couple, family or group, accomodating between 2 and 14 people. 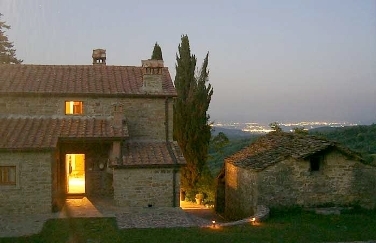 We rent either single rooms/apartments or the entire property by the week: it is a fantastic opportunity to spend in total privacy some time with your group or family in the middle of one of the most charming areas in the world: Tuscany! We also consider weekends or part of the week so please inquire. We are sure the house has a heartbeat. It just feels good to be there. With five (plus 1) bedrooms and five bathrooms there is plenty of room and privacy for up to 14 guests at a time. Two of the five bedrooms are separate apartments with private entrances wich allows for more privacy or easily splitting the house in two or three parts. The sixt (plus one) bedroom is a small double bedroom off the living room: the perfect spot for somebody who is not comfortable in climbing stairs or to have small children at reach. The livingroom has plenty of seating around the large fireplace, uncork some wine and - trust us - that is a good story telling space. The dining room table sits 14 and the kitchen makes you want to try your hands at making bread or rolling out some fresh pasta. One compliment we hear over and over is "wow! we weren't expecting it to be this nice!" When folks walk in for the first time. 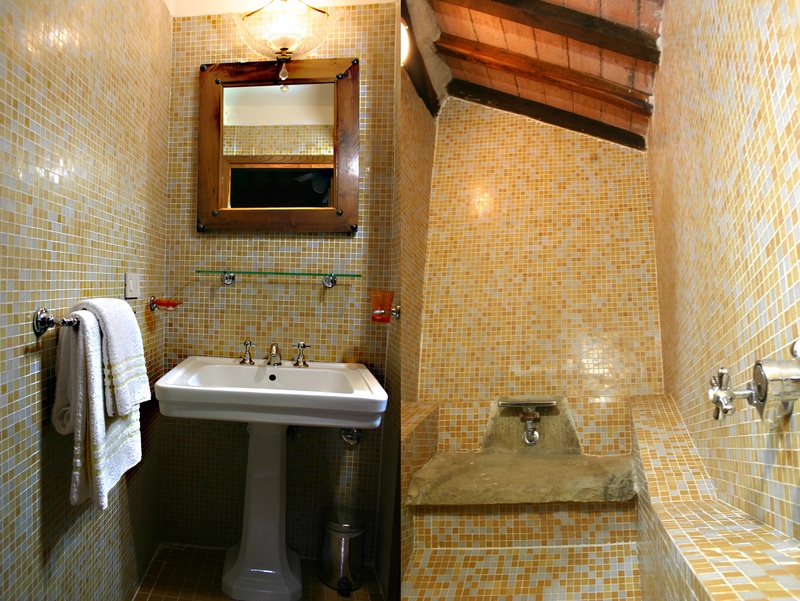 Terracotta floors throughout the house, an open stone staircase, tiled bathrooms, a waterfall tub, exposed beams on every ceiling and dreamy views from every window. As soon as you step inside you will appreciate the care and heart that wen into renovating this great property, careful to add high comfort, while keeping that wonderful Tuscan feel. Located just outside the house, a few stone steps to a dining terrace overlooking the 6x12 meter pool and the beautiful valley below. The stone decking around the pool allows for plenty of sunning space as well as some shady areas so you can still be part of the pool atmosphere without tanning too much. On a personal note, we have lost many many many perfectly fine work days because the pool called ... and we answered! A true paradise which makes you just want to lay there all day, stare across the valley and do absolutely nothing. With prior arrangements (and subject to availabilty) we offer the following services at extra cost. Please inquire! 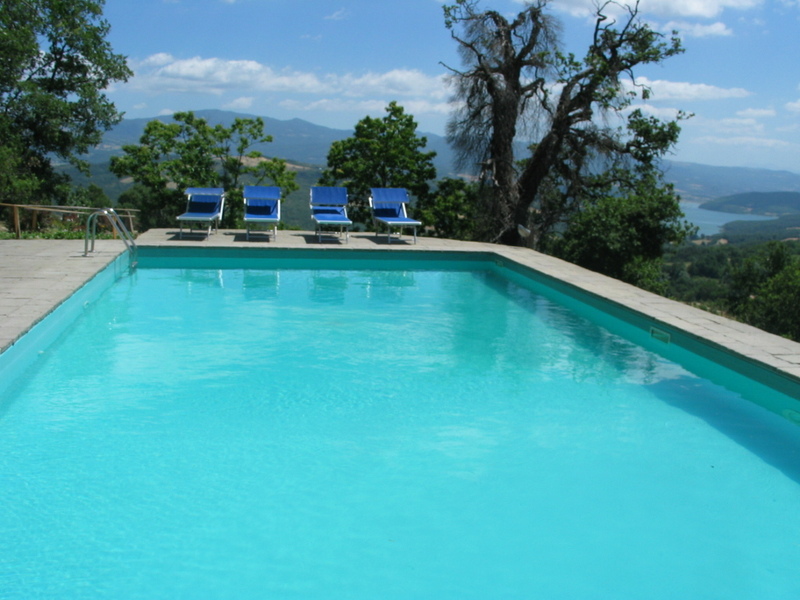 Taxi: If schedules don't connect (or you just can't tear yourself away from the pool) we are available to pick up your friends and family from airports (Roma, Bologna, Firenze, Pisa) or train station in Arezzo. Babysitting: Sometimes you just want to go sightseeing while the young ones think a day at the pool is the way to go ... what to do ... let them enjoy the pool with a qualified child-tender! Catered Dinners: A long day touring or sun worshipping? Wouldn't it be nice to just show up for dinner without having to worry about shopping, cooking, cleaning? Thanks to our lovely local chef Laura, we can serve you simple farm meals or elegant 4 course meals using all local products form the farmers who produce them. Local cheeses, wines, oils, breads, meats and of course pastas. Massage: Who couldn't use a great massage while on vacation? No one that's who. The massage can be in your room, out in the hayfield, by the pool, on the balcony overlooking the lake, wherever you are most relaxed. Highly trained and very caring masseur can do custom no-rush massage to fir your schedule. Maid Service: House cleaning can be done as often as you like, prior arrangement. 10 euro per hour, minimum two hours. Our driveway is approximately 1.3 kilometers in length from the main road to Priello. Paved in bits and gravel in others it's a fun road you will learn to love. The road winds up to two farms, woods, over a little waterfall, past our neighbors around a corner, past hayfields and right when you think "is this the right road?" you will see our classic cypress lined drive and you have arrived. It is less than a mile to the main road but it seems a world away with peace and quiet you can only dream of. Deposit. When you book a room we ask you to send us a deposit of one half of the total amount due. You can use the secure payment Paypal Button below. We totally refund this deposit (minus a 5% administration fee) if the reservation is cancelled or changed with a 30 days minimum advance notice, but we do not refund deposits if you decide not to come or to make your stay shorter (for any reason you might have, such as last minute obligations or weather conditions, etc.) without giving us 30 days minimum advance notice. If the reservation is for the entire farmhouse, we require 8 weeks minimum advance notice (the same as above applies regarding deposit refund). Balance. The full balance (based on your reservation) will be due on the day of your arrival at Priello. If you pay in cash no extra cost will be charged. If you want to pay with your credit card a 5% charge (on the total amount Deposit+Balance) will be charged. We'd like to thank the kind people over at UK Holiday Shop, who liked Priello so much they've featured our farmhouse. You can see Priello at UK Holiday Shop here. We had a very great time in priello!! Our little Italian friend We sure miss her already! And her lovely owners as well, thanks again for a great week in Tuscany !! 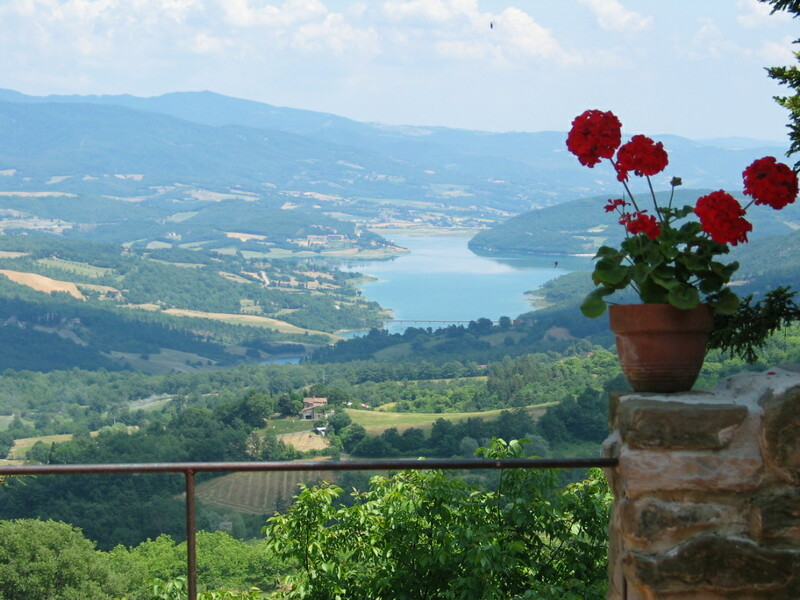 We stayed at Priello in June 2013 - a real hidden gem tucked away in the Tuscan hills. 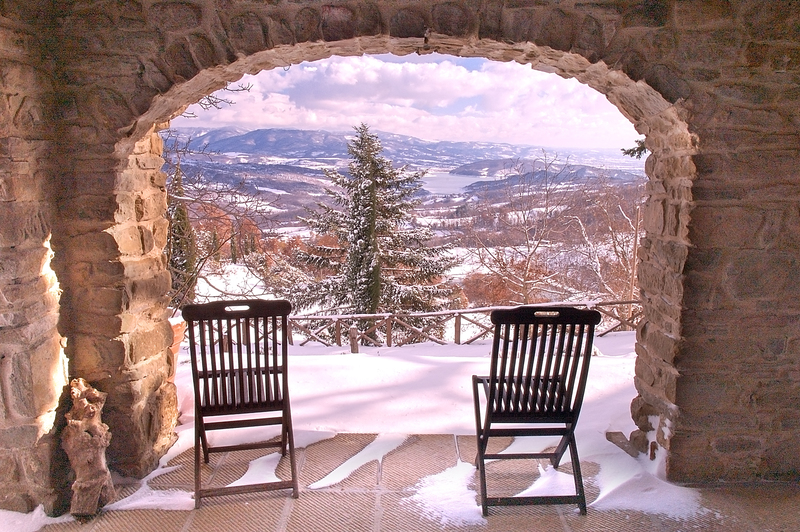 A beautiful and quiet place to escape from the 21st Century and to enjoy the scenery, local cuisine and weather. And fine hosts completed the picture. We will return. My family and me (from Belgium) had a very nice journey in this place! First, the farm is a ideal place to rest, to enjoy the view, to explore the nearby cities,.. Then, the owners do everything to make the stay perfect! They respond to questions with pleasure, they give advice for visits, for meals, for itinerary and i in password! Finaly, we had a very great time in priello ! Without forgetting the comfort of the house where we were! Carol Joy Nelson of Raleigh, NC, stays at a farmhouse near the Tuscan village of Priello in Italy. (...) It's the best of both worlds, she says "You have the comforts and amenities of a regular Inn or bed and breakfast with the simple down-to-earth pleasures of a real farm. She takes driving trips to popular towns such as Florence, Siena and Assisi. And that seems to be the main lure of a farm stay: you are part of a place, not a guest in a hotel room. 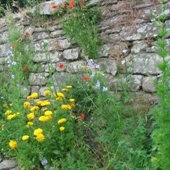 Maybe the summer is the time for you to consider a rural holiday. I'm told you can actually breathe the air. I'm Rudy Maxa from the Savy Traveller Marketplace. 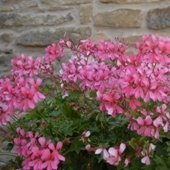 Priello B&B, Localita' Priello 244, Caprese Michelangelo, Arezzo 52033, Tel. 011-39-0575-791218, http://www.priello.com. 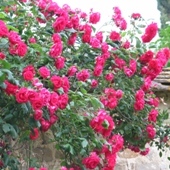 In picturesque area of Tuscany. Breathtaking views. Horses available. Owned by two med, an American expat and a Italian (...). Italy, Don Leonard, Los Angeles. 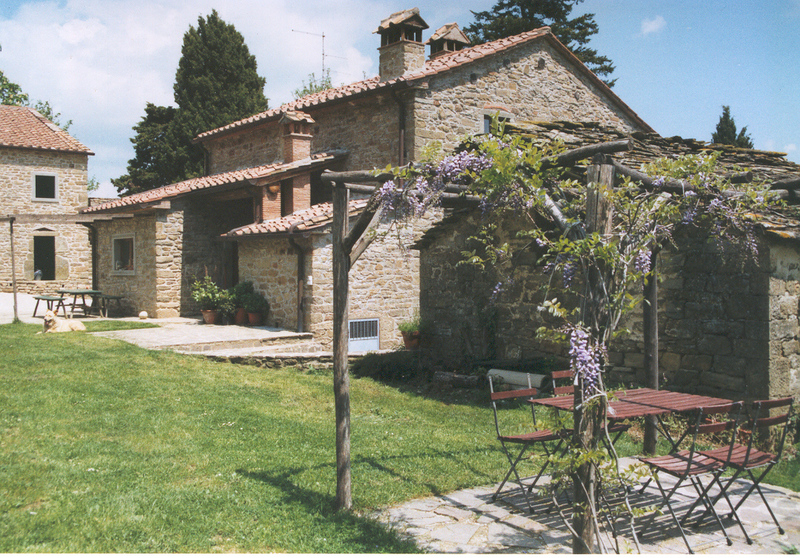 Tuscan B&B. 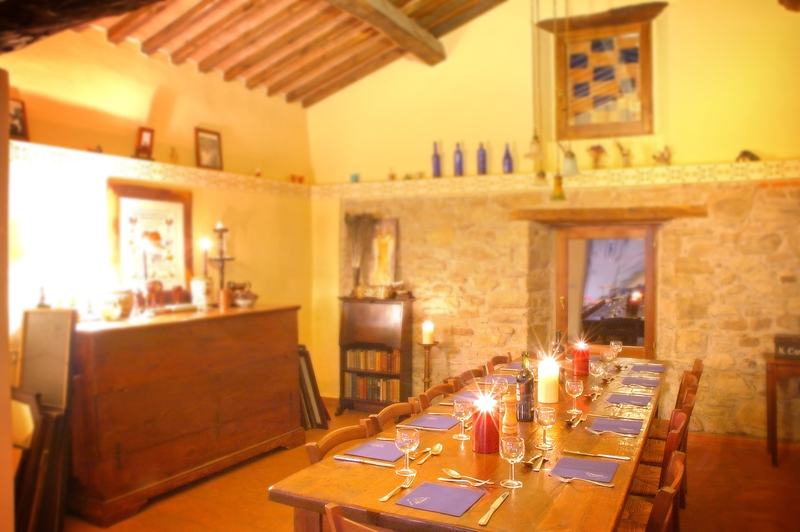 Last year I stayed at a charming bed and breakfast called Priello, located in the Tuscan region of Italy. 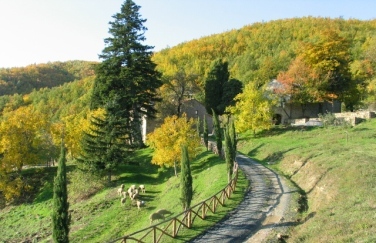 Priello is conveniently located an hour's drive from Florence and Siena, so it is perfect for day trips. However, it is so pictoresque that once you arrive you may never want to leave. 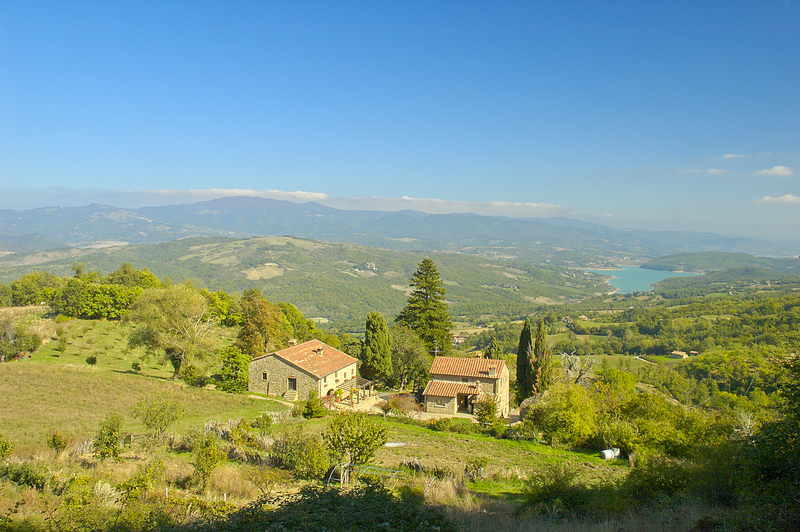 The views are breathtaking, and ther are horse available for day trips through the hillside. Should you feel the need to see the outside world, there are charming villages to explore throughout the region. 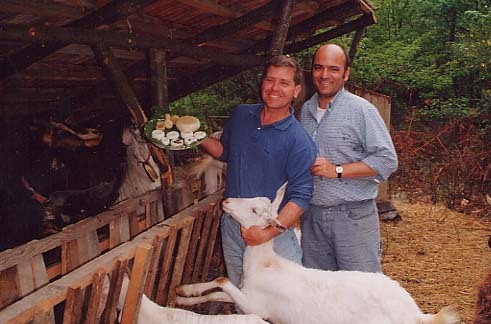 The inn is run by two men, Brent and Alex. (...) Brent, an American expatriate, is very helpful, with lots of information on the region. 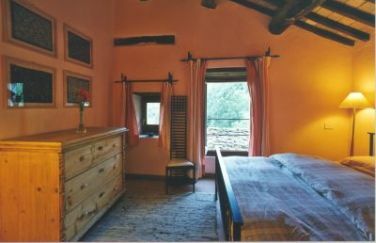 Rooms (...) include a huge breakfast with home-baked breads, jams, fresh milk, eggs and cheese. Priello is also a small working farm with an orchard, and there is an oversized organic garden and a kitchen open for guest use. Priello Bed&Breakfast. 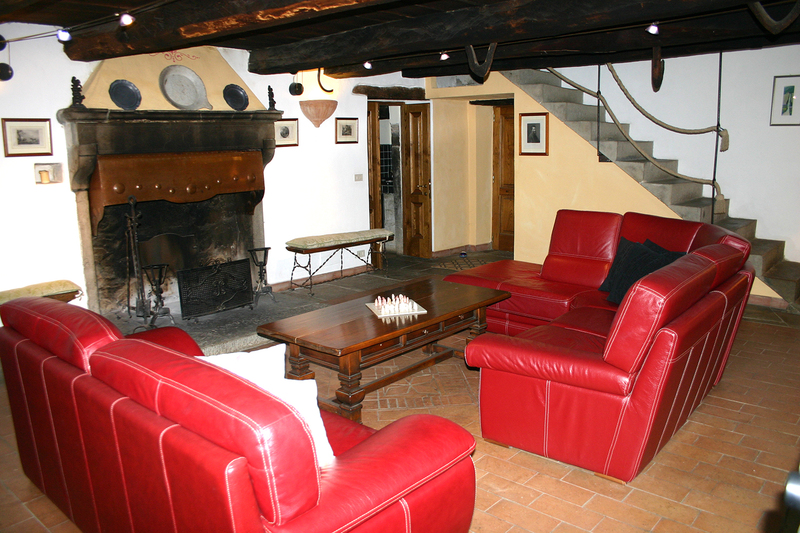 This 17th Century farm house is a perfect base for exploring Tuscany and Umbria. 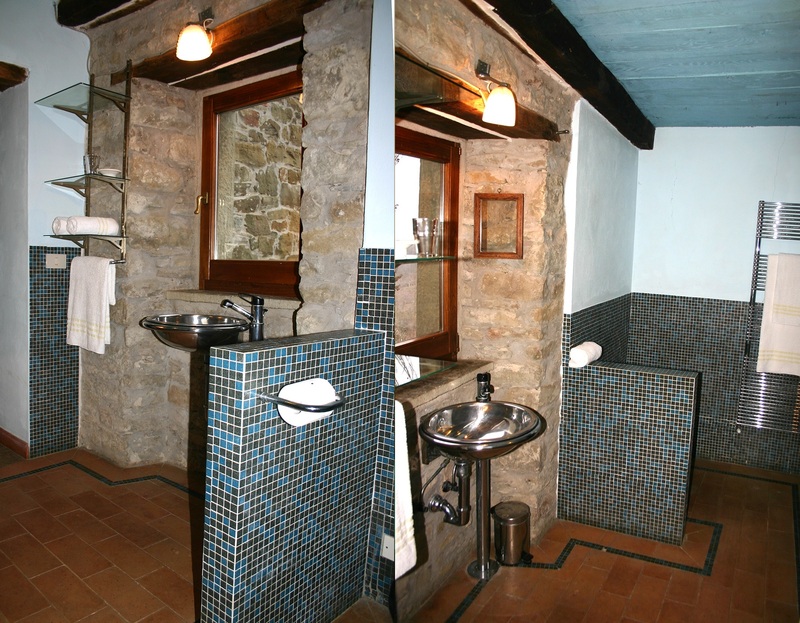 A relaxing and quiet place, with a spectacular view of the valley, it has been restored with the original materials (...). 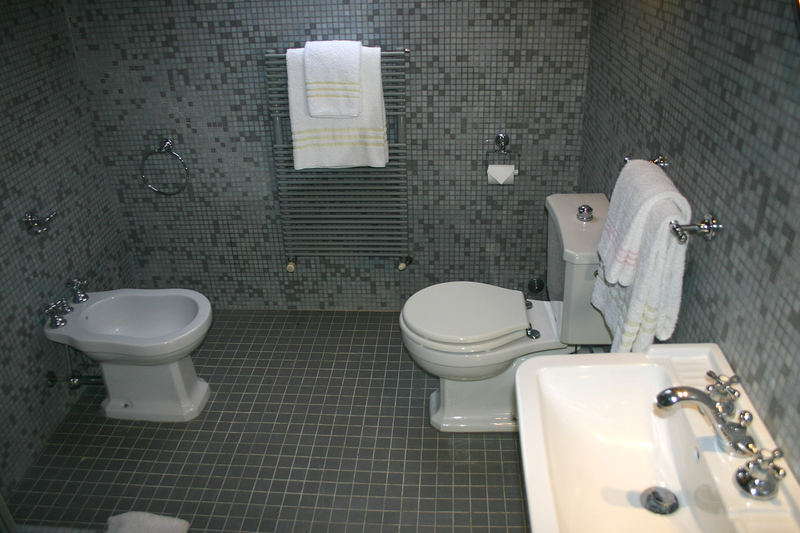 All rooms have a private bathroom, complete with modern facilities. 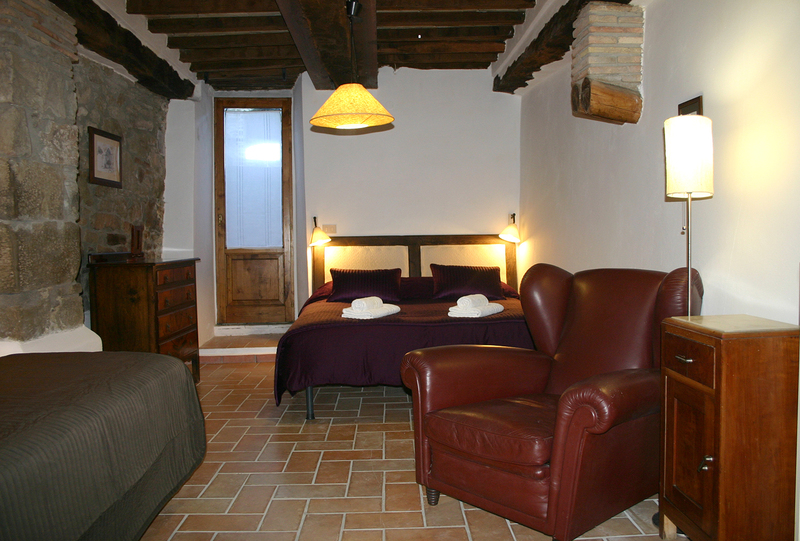 Rooms have also been restored, and are simply but comfortably furnished. The beautiful contryside surrounding Priello is great for hiking, horseback riding ot mountain biking (...). The surrounding area is full of history, arts and tradition (...). 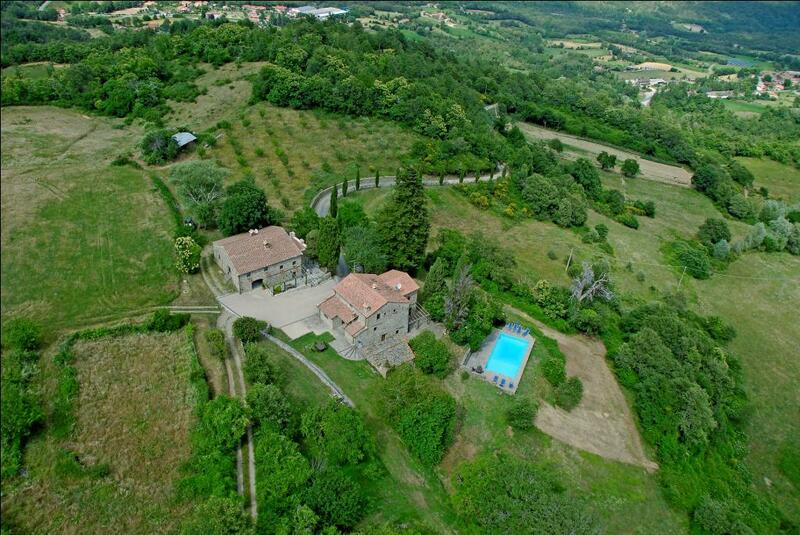 How we found it on the web: A Tuscan Villa. Our wedding is all set; what about the honeymoon? The bride has seen Stealing Beuty twice, so an Italian Villa it is. We start with a run through Yahoo (...). But Yahoo rewards a more direct approach. Typing "Tuscany" into the search window retrurns streams of information on apartments, castles for sale and - bull's eye - "Bed & Breakfast in Tuscany". The Villa is run by Brent and Alex and is beautiful, yet we press on.